We will once again be holding our annual Candlelit Remembrance Walk to mark Evie’s birthday and remember all her angel friends. The event is a beautiful, poignant evening during which we walk a trail through Whinlatter forest, lit with green glowing lights, which lead us to an opening in the woods. Here we spend time reflecting and remembering our little ones who are no longer with us. We would love to have you join us for the event to remember your baby, a family member, or to help us remember Evie on her 4th birthday. We would also be incredibly proud to remember your baby at the event even if you can’t be there with us. Last year we remembered nearly 100 babies from around the world in what was a very moving event where we spent time thinking about each of the babies. It is really easy to sign up for your place at this year’s event, or for your baby to remembered, by using the options at the bottom of the page. The event is free of charge and everyone who attends will receive a special gift bag from the evening. By registering for this event I acknowledge that TeamEvie reserve the right to use the submitted data to contact me about this event only. 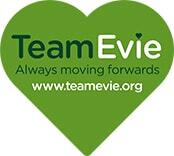 Note that there is no charge for talking part in the Candlelit Remembrance Walk – Evie’s 4th Birthday, however any donations are greatly received and help with the costs incurred for arranging this event.